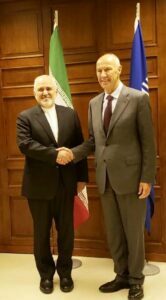 Iranian Foreign Minister Mohammad Javad Zarif has sat down with Director General of the World Intellectual Property Organization (WIPO) Francis Gurry in Geneva. In the Tuesday meeting, the two sides discussed mutual cooperation as well as the current international trends in the domain of intellectual property. During the discussions, the top Iranian diplomat touched upon Iran’s plans to move from an oil-and-gas-driven economy to a knowledge-based one, highlighting the importance of intellectual property during the course of this trend. He attached special importance to multilateralism on the international stage, and said unilateral measures as well as illegal sanctions are destructive factors affecting the progress and development of societies when it comes to science and technology. 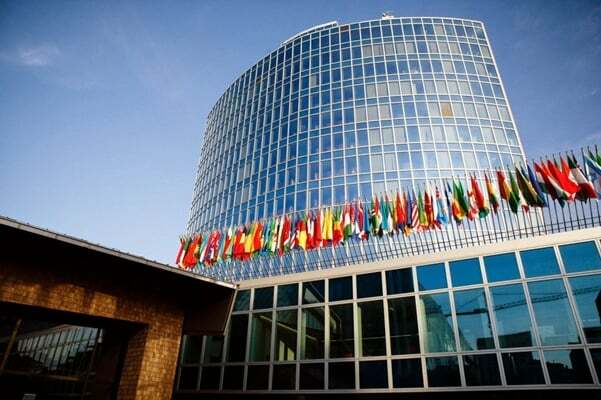 The WIPO chief, in turn, presented a report on the latest international trends in the domain of intellectual property. He referred to the most important challenges facing the international community in that field, and lauded Iran as an active member in international organizations and with regards to multilateralism.